If you missed Part 1 of this beautiful story, CLICK HERE. When Josh had stepped out of the room very shortly after Seth’s birth, I even asked our nurse, Denise (she’s awesome by the way! ), if she thought Seth might have Down syndrome. When the on-call pediatrician came to our room a couple of hours later, I wasn’t exactly shocked when he made his pitiful delivery of the news. 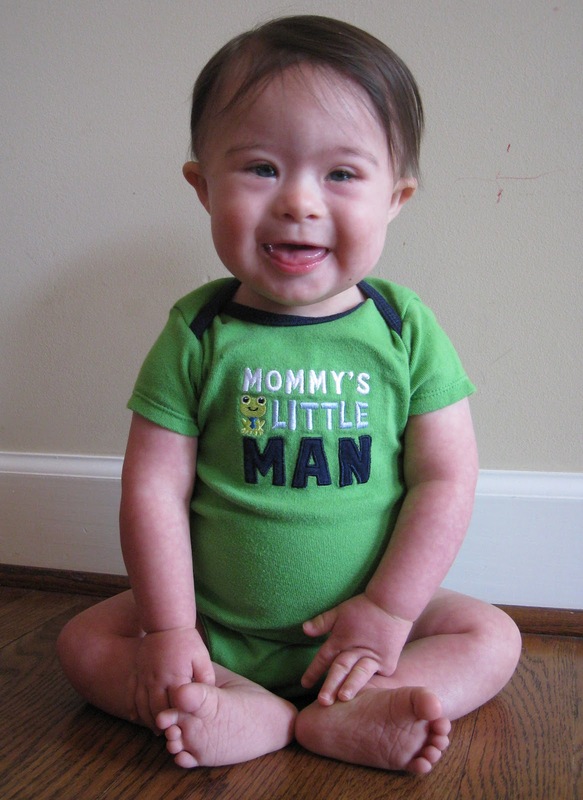 With head hung low and in a near whisper, he said, “We think your baby may have Down syndrome.” To be very honest, I think I went into denial because I don’t remember crying at that point and kind of dismissed him, thinking he didn’t know what he was talking about. Then we got a visit from our at-the-time regular pediatrician who also said that Seth had several markers for Down syndrome and that we needed to be referred right away to Children’s Hospital. “Right away!” were his words. The way he said it and was acting, we both actually thought we might get transferred to Children’s or even drive there immediately after being released from the hospital. His delivery just … sucked! He kept telling us to get up there as soon as possible, making it sound like a medical emergency. He never said “Congratulations on your beautiful boy!” He was sure to tell me multiple times, but in this weird condescending way, to love my baby, kiss him and sing to him. It felt like he was expecting me to put my baby in a corner and completely ignore him. Or ask to have him institutionalized. Or abandon him. Or something. I don’t know but it never sat well with me. 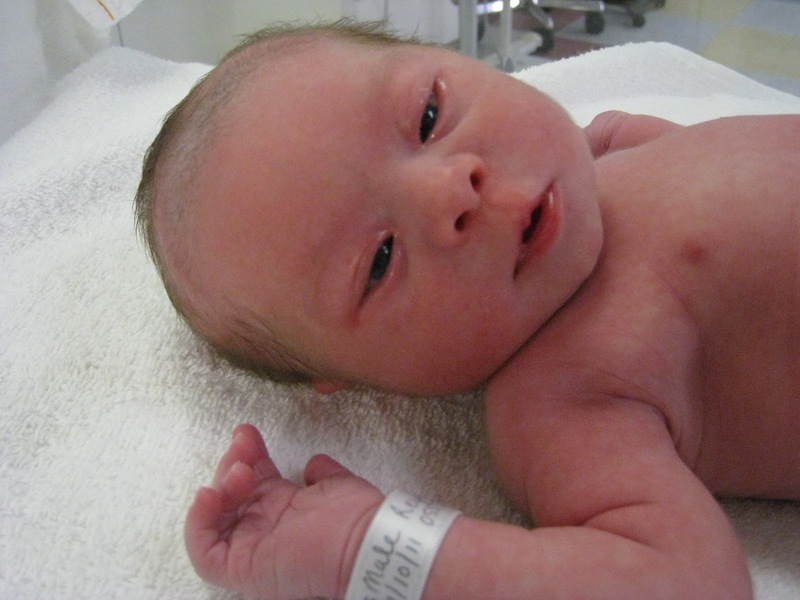 So this is when I started to get weepy and feel the weight of what Down syndrome might be. Now we’re back to markers. The pediatrician said that the markers he saw in Seth to make him think he might have Down syndrome included a Simian or single palmer crease (turn your hand palm up and slowly close; you probably have 2 creases across your palm; Seth has one), sandal toe (gap between his first 2 toes), cyndactily (his 3rd and 4th toes on his right foot are fused), single umbilical vein (turned out to not be true), small mouth, large tongue (not really any larger but appears to be because of his small mouth), low set ears, shorter fingers, epicanthal folds/almond-shaped eyes, and hypotonia or low muscle tone (described as floppiness). All of our friends that visited in the hospital or called or texted to check on us, were wonderful! Granted, in hindsight some of them did say some silly things but no one said anything I wouldn’t have said if I had been in their shoes (on the “other” side of a DS diagnosis). The not-knowing one way or the other was hard. Everyone was so supportive and encouraging even in the midst of us not knowing the reality. I have to say that the absolute sweetest thing anyone said to me was from Ms. Jenifer Parris herself! When I told her that Seth might have Down syndrome, do you know what she said to me? She said not to worry because she was going to adopt a baby with Down syndrome anyway so Seth would have a playmate! Can you imagine?! Here I am struggling with what Down syndrome meant, what it might mean for our family, for our sweet little boy, his future, our future, and a whole host of other thoughts and emotions swirling around in my head and heart and here Jenifer is ready and willing to jump into the DS world! That was the very first bit of light that made me feel that this journey might not be totally and utterly horrible. Here’s someone who knows what Down syndrome is and isn’t afraid of it and is actually going to invite it into her family. If I didn’t already call her friend, I certainly did now!! It turned out that with all of the urgency felt in the pediatrician’s voice and words, we couldn’t get an appointment with the geneticist for 2+ weeks! Two weeks of waiting and wondering and praying and denial and heavy hearts and seeing a difference in the feel of a baby with low muscle tone. During these 2 weeks, my mom came to help, Josh’s mom came to help and we just spent the time getting to know Seth and becoming a family of 5. 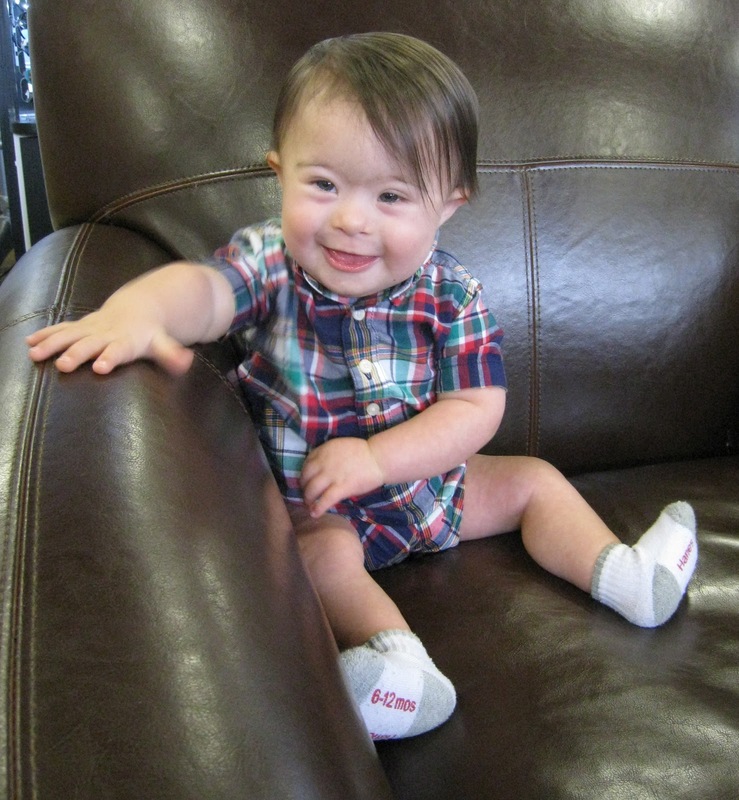 Mostly I prayed that God would take away any hint of the possibility of Down syndrome. I just did not want to even look into what that meant so I did no research. I made no connections. I just wanted to get past the next appointment. Once we got in to see Dr. Lose, the geneticist, I was hoping and praying to hear him say, “What are y’all doing here? Take your baby home and change peds because he doesn’t know what he’s talking about!” He didn’t say that though. He said that he did think we should have Seth’s chromosomes counted. He was super nice and encouraging about it, even though I was a mess. He gave us yet another glimmer that life wouldn’t be full of sorrow and pain. Again, we simply had zero prior knowledge of Down syndrome. In order to get Seth’s chromosomes mapped, all we needed was a simple blood draw that could have and SHOULD have been done at the hospital where we delivered. Instead, after three heart-wrenching pokes, blood was drawn at Children’s and then sent off to be analyzed. Two weeks and 48 hours. A FISH test, which is a quick yes or no type test, was to take 48 hours. The full analysis takes at least 2 weeks. Yep, another 2 long weeks! We saw Dr. Lose on a Wednesday and waited all day Friday to get a call. No call. I kicked myself all night Friday and all day Saturday that I wasn’t more proactive in calling his office before they closed on Friday and now it seemed we had to wait all weekend. So we waited, not so patiently or in faith on my part. Shockingly, Dr. Lose called us that Sunday afternoon at home. He delivered the news with care. Seth did indeed have Down syndrome. I cried. We cried. We listened and tried to ask questions but mostly I just cried. Here’s where I’m going to take a giant risk and be very transparent. I cried for at least a month. The day after we got the initial diagnosis, I had a hard time even breathing. A mourning was setting in. I am innately an organizer. So I wanted to know what we were up against with this thing called Down syndrome. I did a Google search and clicked the first link I saw. I don’t remember the link now but what I remember was what I read – children with Down syndrome may walk before the age of 3, might be able to be potty trained around age 5, and might speak around the same age. That was it for me. I was a puddle. I turned off the computer and did not touch it for weeks. Why, oh why, were we being punished? What had we done to make this a reality for Seth? Why did I push for just one more baby at my age? How can I expect my girls to take on this responsibility after I’m gone? What will Seth have to deal with in his life? Will the ridicule, the jokes, the down-right mean and nasty people all now be a part of his life? How can I prepare him for life? Will we be able to love him the same way we love our girls? Will he fall in love and get married? Will he be able to be independent? Will my two girls have to care for their brother after I die? I felt forsaken. My loving God didn’t protect my innocent baby. Over and over I kept asking God to help me understand. Make me know that I’m still His child and that He still loves me and, more importantly, that He loves Seth! The initial shock of everything finally started to wear off about 2-3 months after Seth was born. I stopped being as weepy, started to realize that I was indeed blessed with our sweet little boy, and began to wrap my head (and heart) around what it is I have been called to do – love! Am I fully at an “acceptance” point? I’m not exactly sure. We’ve had lots of doctors’ appointments that we didn’t have with our girls and will have more to come. There are medical conditions that Seth is more prevalent to so we have to keep an eye out for those. We have extra help and therapists that are assisting us in areas where Seth is delayed (mostly in physical and communication skills). I’ve had to learn a whole lot more about Down syndrome and development and inclusion than I ever thought I would and there’s tons more to learn. I’ve found that we have to be more proactive with Seth than we had to with the girls. I’ve had to step out of myself to see, really see, that this diagnosis is NOT the end of the world. It hasn’t destroyed our family and, in fact, it has really brought us closer! I’m eager to learn from those who have walked this path before me and to share with those who will come after. This new path forward is a work in progress, just like we all are. My prayer is that the knowledge I gain from having, raising and loving Seth will help forge a path that will open up other people’s eyes to what an amazing gift he is! I hope that his life will shine into what can be a dark world and that us “typical” folk will see the advantage our society gains by including people with so much love to give! There are still sad days but they really are fewer and farther between. 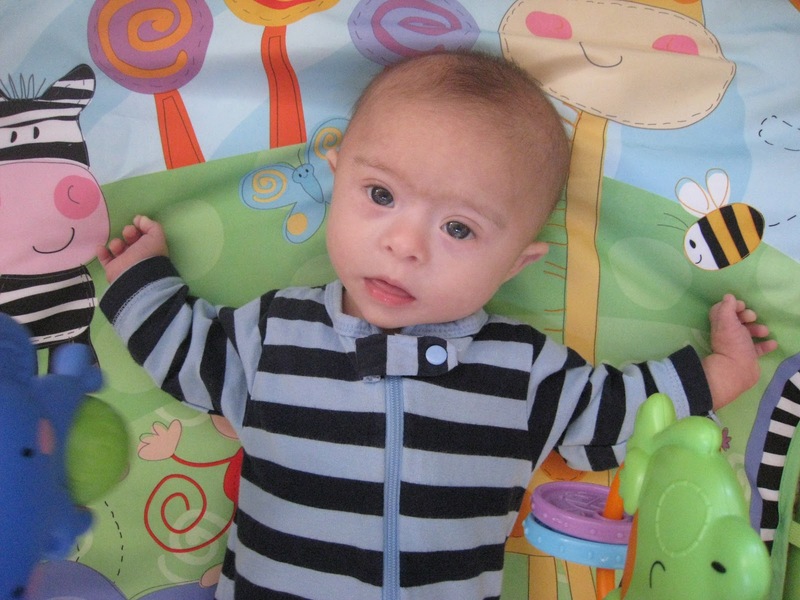 My heart is FULL of love and joy for this little boy who sports an extra chromosome! !